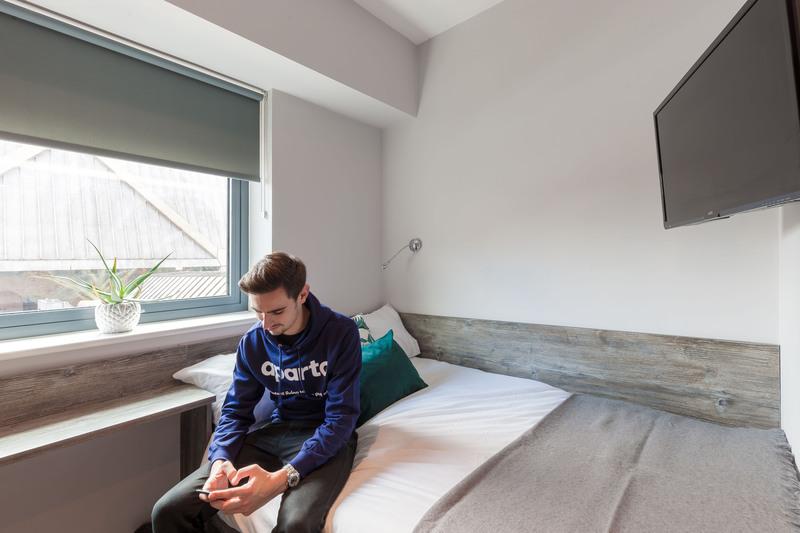 Smart student living within easy reach of everything you need. With 395 students, Queens Court is home to a diverse and vibrant student community from around the globe. For those who like recreation as much as revision, this first-class accommodation offers a social and welcoming place to call home. 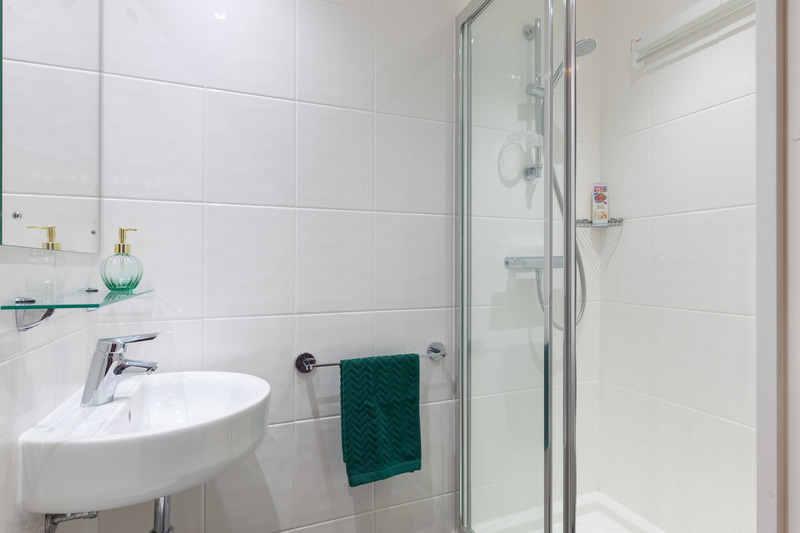 want to learn more about living at Queens Court? 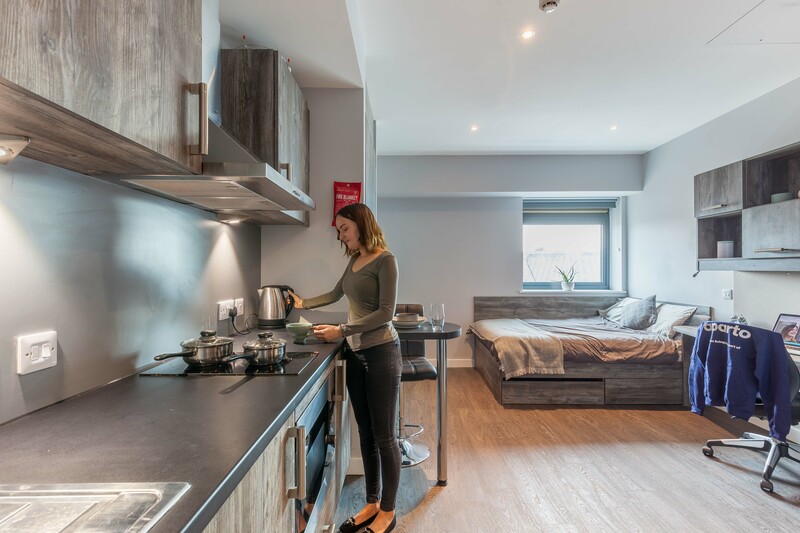 From studios to twodios to duplex apartments, Queens Court offers a range of stylish room types to choose from. 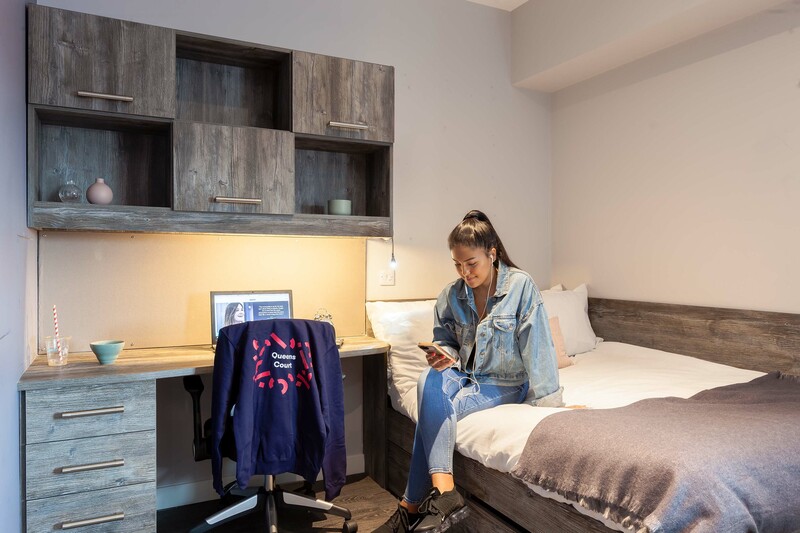 All our rooms are tastefully furnished with comfy beds, TVs, and plenty of storage and study space – helping you feel at home from the moment you arrive. All prices shown are per person, per week. 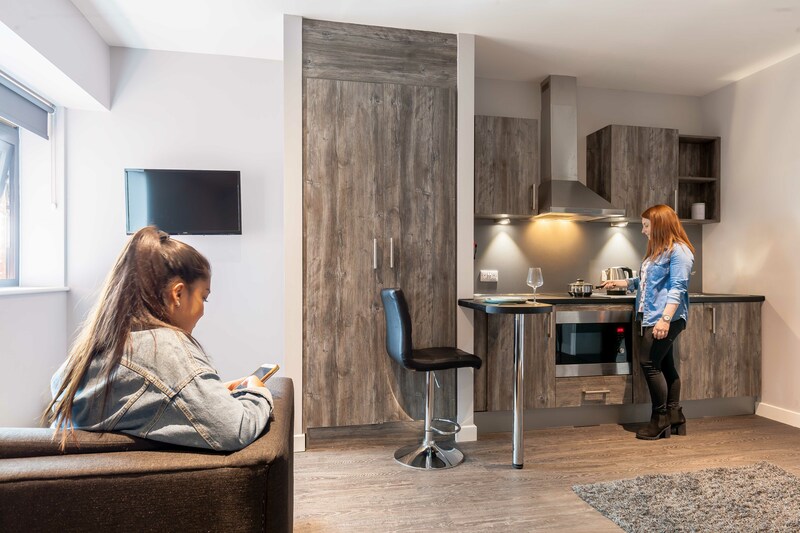 Book now for Sept 2019 and get a £100 shopping voucher! Offer is limited and will be served on a first come first served basis. Don’t miss out! 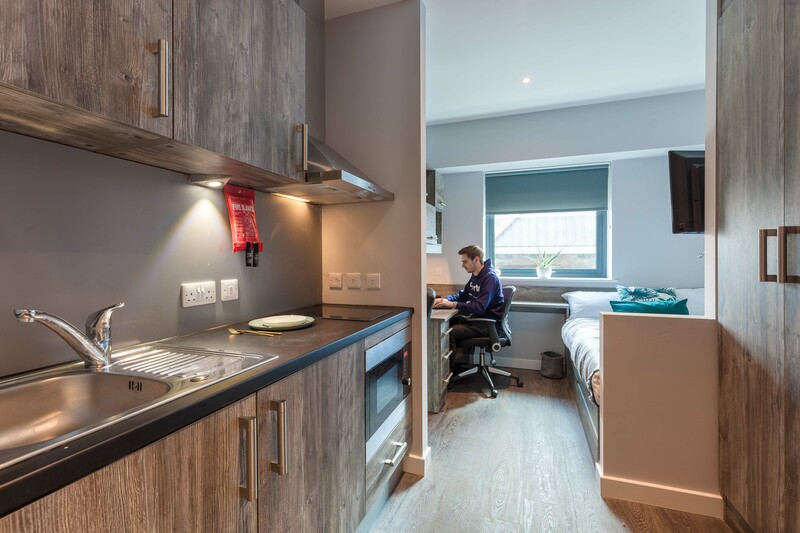 Located on the Ground and 2nd floor, complete ensuite shower room, double bed with integrated storage, a personal fridge-freezer and plenty of study space. 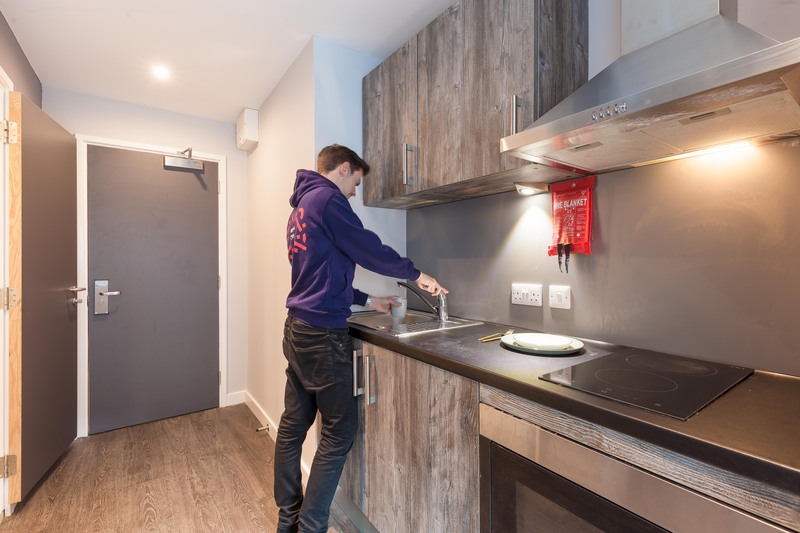 You’ll have access to a shared modern kitchen and dining area, with one adjoining resident. 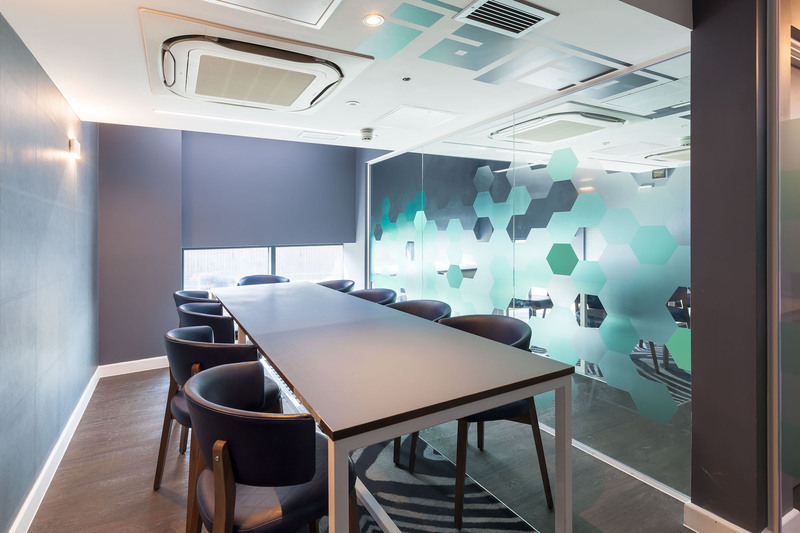 These rooms offer all the benefits of the twodio, with a little more space. 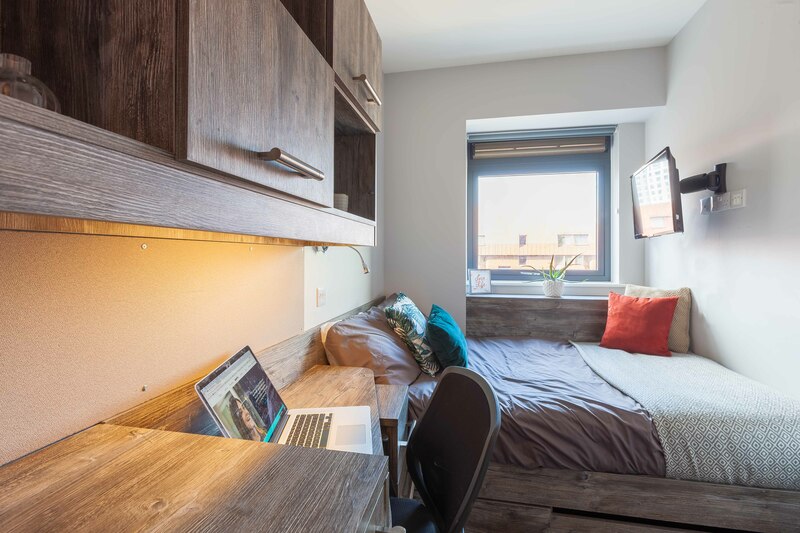 Each comes complete with a private ensuite shower room, plenty of wardrobe and under bed storage, study space and a fully fitted kitchen. These are our standard size studio rooms. All the benefits of our Bronze, with slightly more space. Additional floor space and an added breakfast bar fitted into your kitchen. These are perfect if you’d like just a little more room to help you feel at home. Our SIlver Plus Studios are slightly larger still. 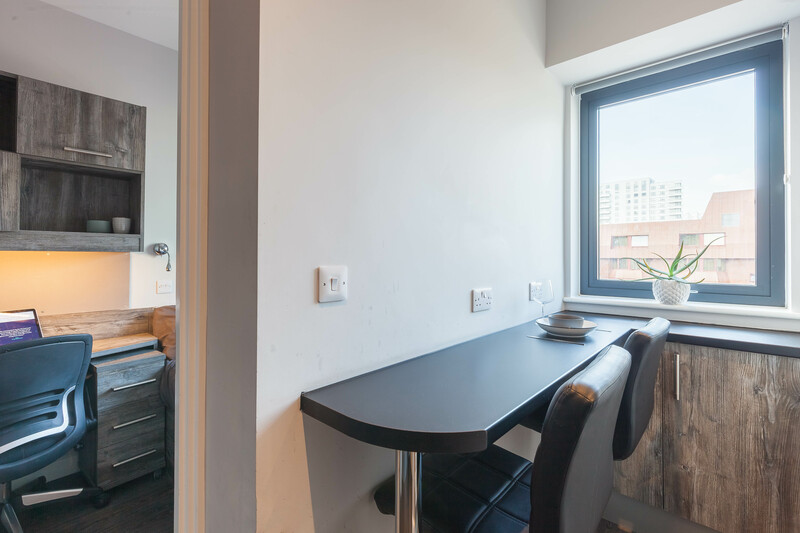 Considerably more space to move around – and the addition of a 2-seater sofa. 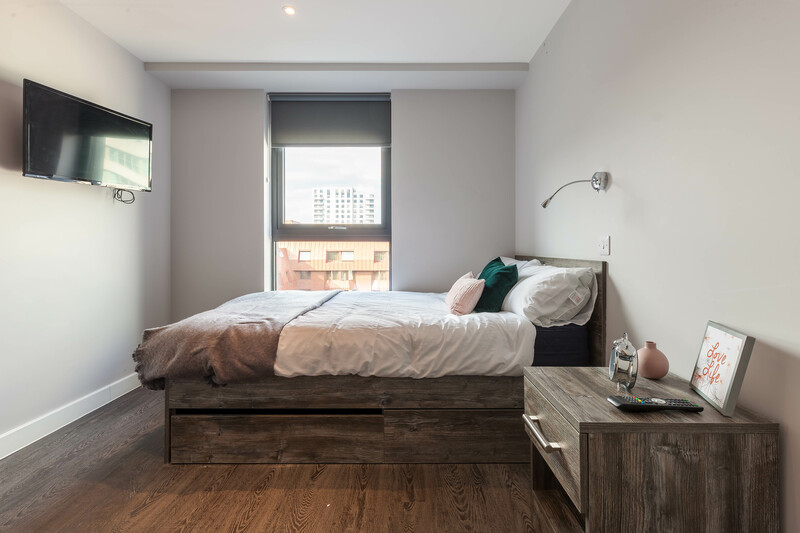 These rooms are perfect if you’re someone who is likely to have guests over often – or if you feel that more space and more interior furnishing, helps you feel at home. 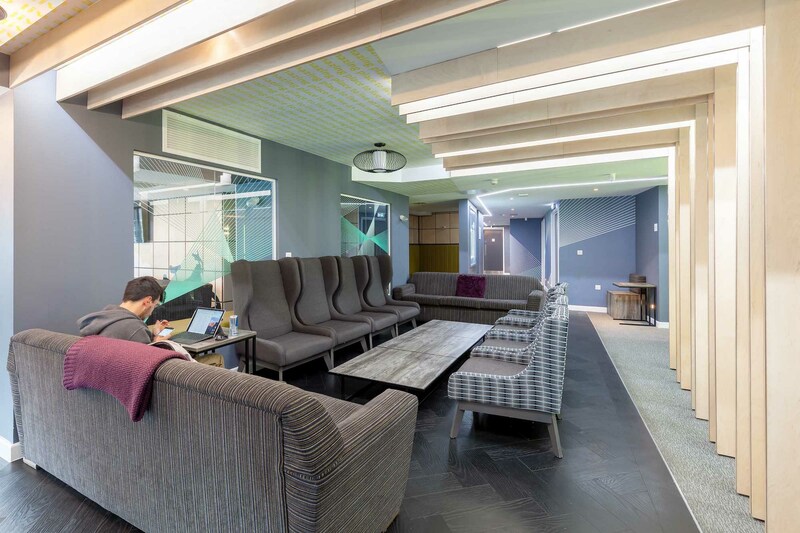 These studios offer slightly more space than our Gold, alongside all its added features. 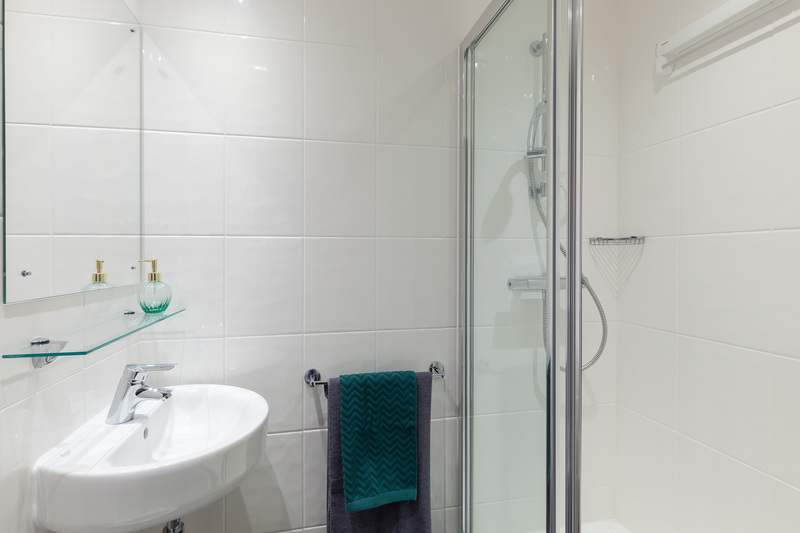 Our Platinum studios take things a step further and come with their own ensuite wet room, as well as an added breakfast bar in your fitted kitchen. These are perfect if you don’t want to compromise on space, and like a little luxury. 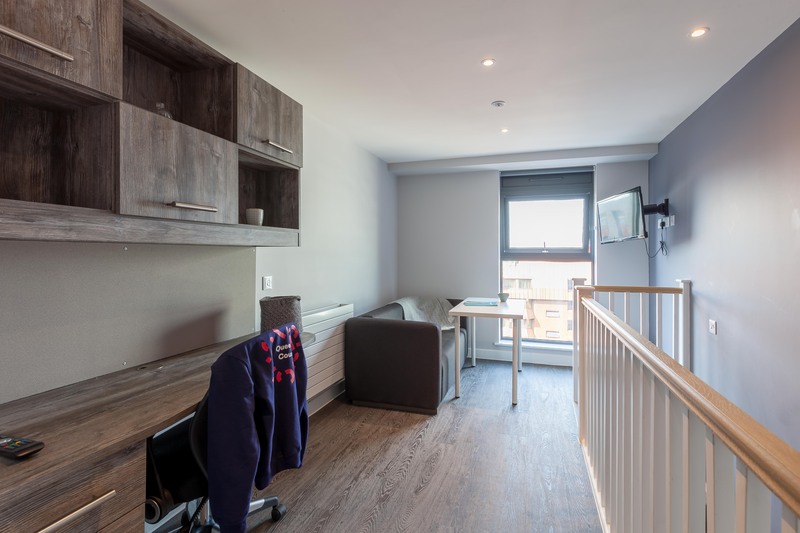 Our largest studio room in the building and great for two of you. These are perfect if you want a lot of extra space to move around, host guests, or put your things – but also prefer a little more privacy. 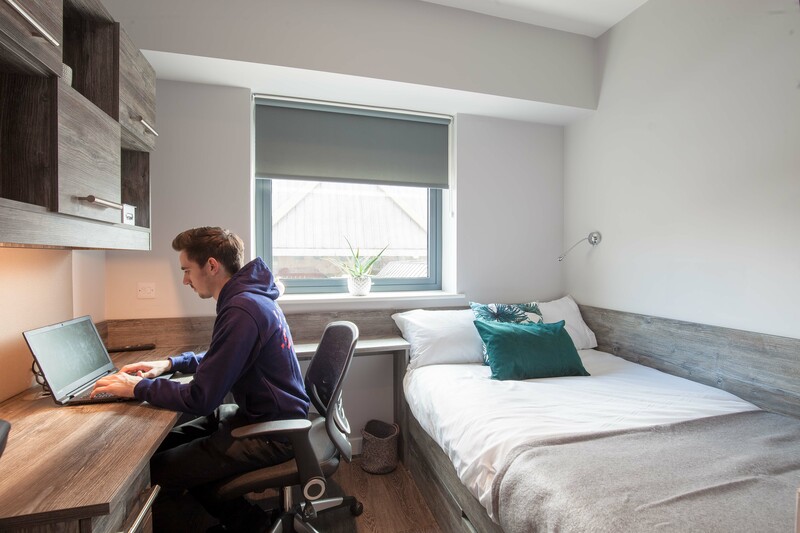 With bedrooms arranged over 2 floors, you will have access to your own studio, with a private ensuite shower room, a double bed with integrated storage, plenty of study space and a lot of extra room to move around. 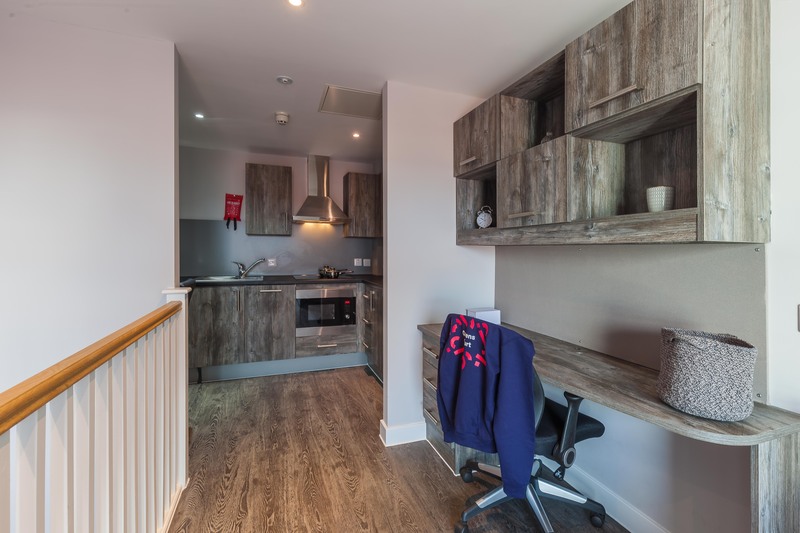 These are the smallest of our apartments but already offer a lot of extra room. 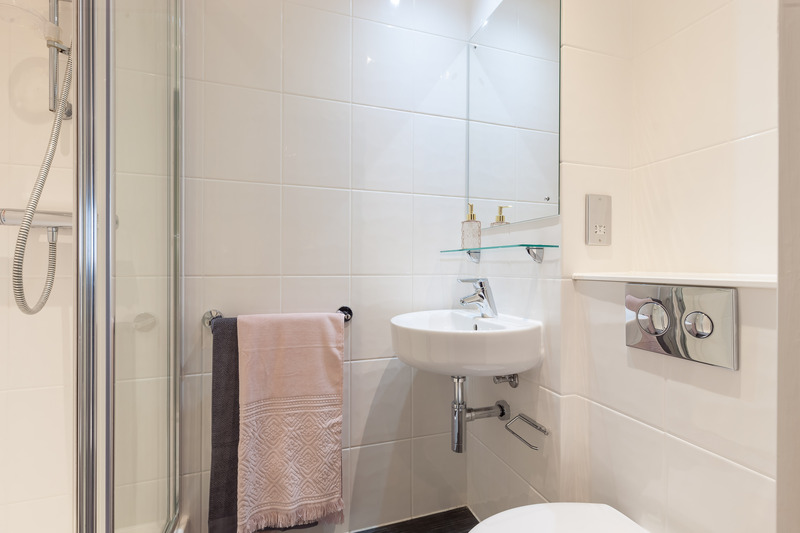 Our 2 bed apartments offer around twice the space as our 1 beds, with all its benefits. 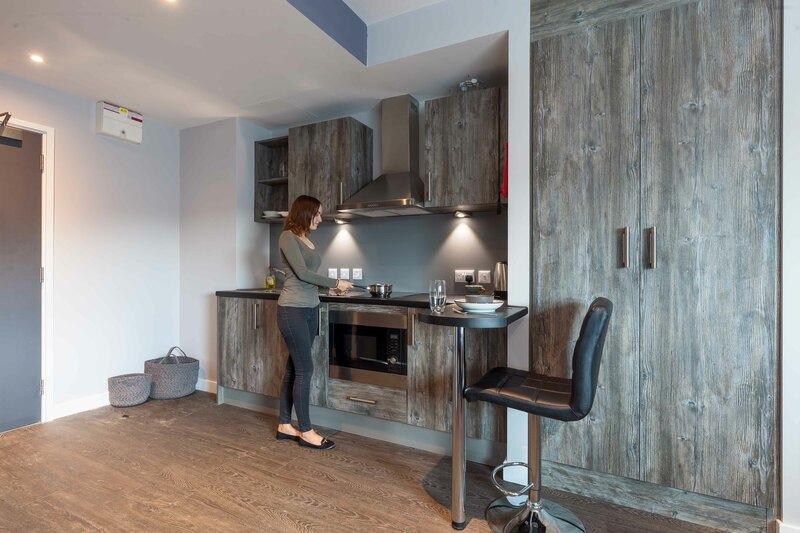 You will share a kitchen with one other person – as well as a furnished living area. 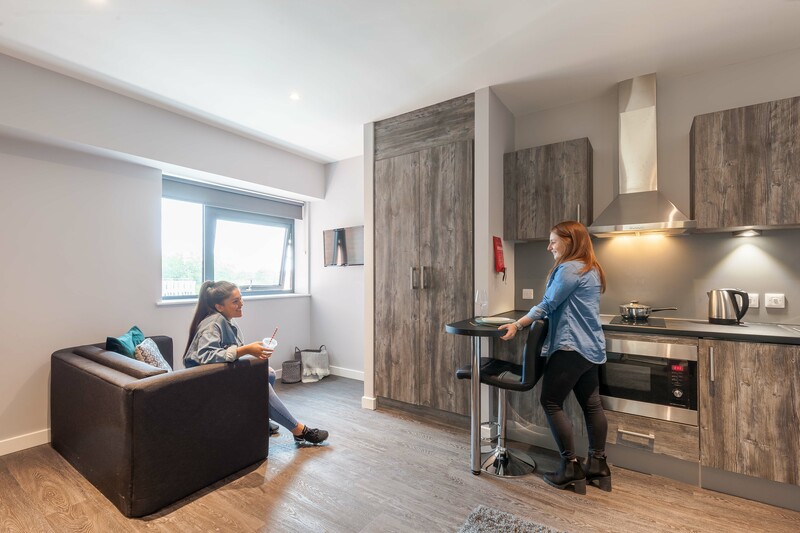 Our 3 bed apartments come with all the benefits of a 2-bed apartment, with even more space, and an additional housemate. 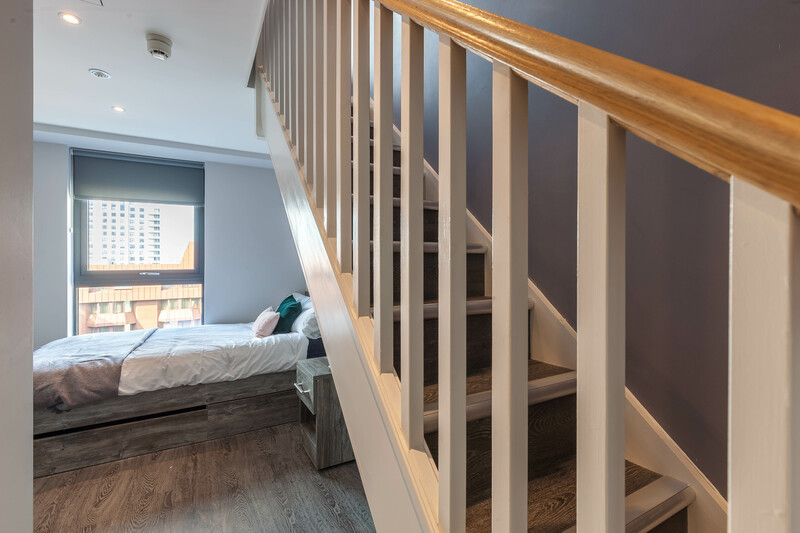 Our 4 bed apartments feature the largest rooms in the buildings and are almost 3 times the size of our 1 beds. 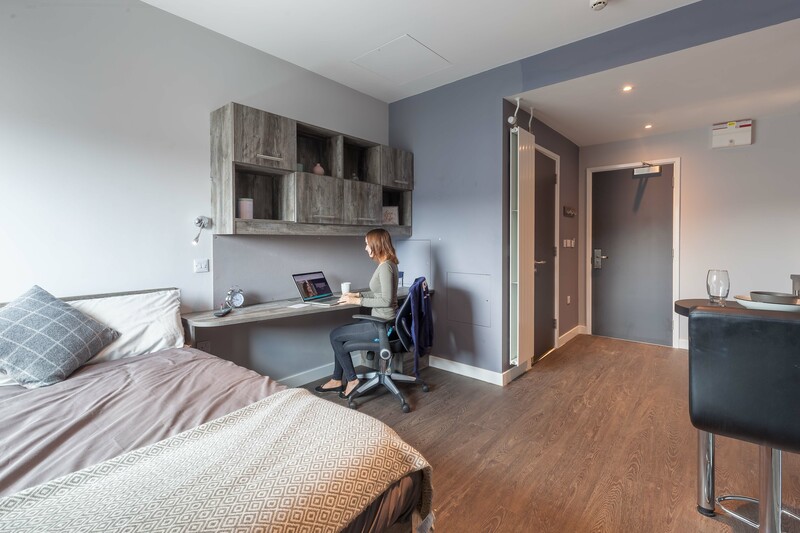 Pick one of these rooms and its likely you’ll forget you’re even living in student accommodation! 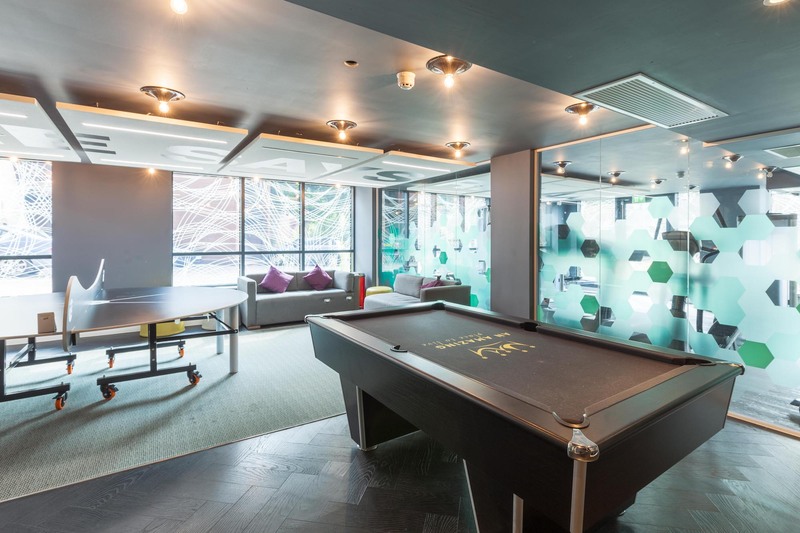 A cinema room, games area, fully-equipped gym and spacious courtyard make your time here fun and action-packed. 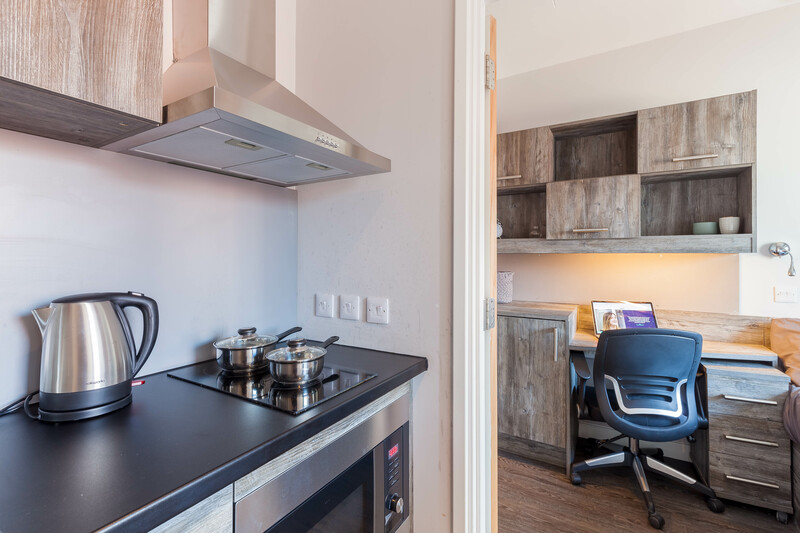 With close to 400 residents living here, the community spirit is clear to see from the second you’ve unpacked your bags. 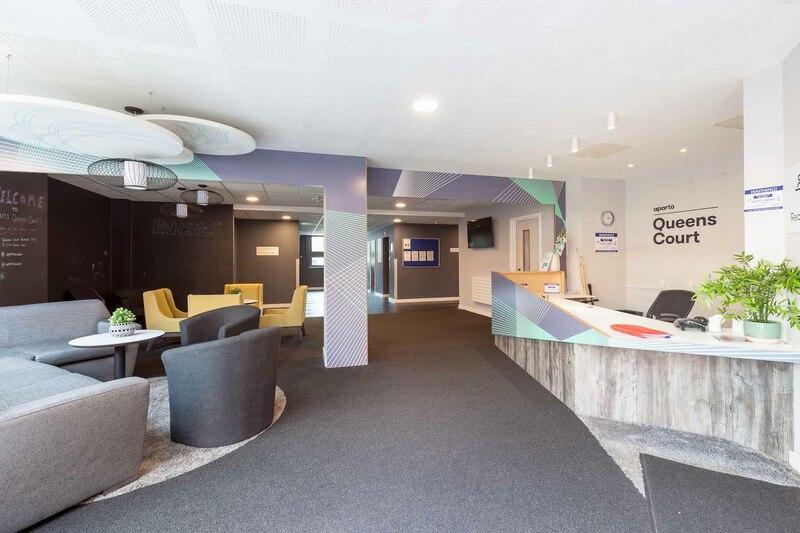 Our reception area - staffed 24/7 and always up for a chat! We’re one big family, with staff and residents from around the world – and we’re focused on creating experiences you’ll be proud – and very happy – to be a part of. 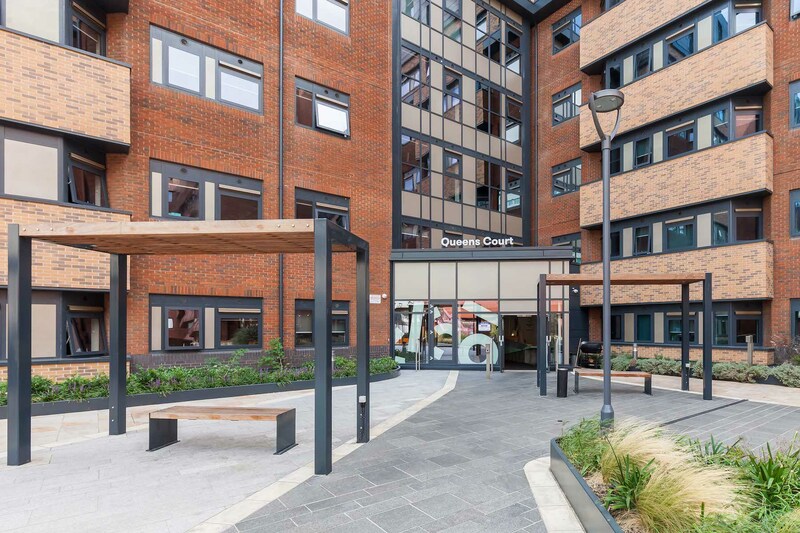 The outside of Queens Court, with plenty of benches for sitting out when the weather's nice and just a 5 minute walk away from from Reading city centre. 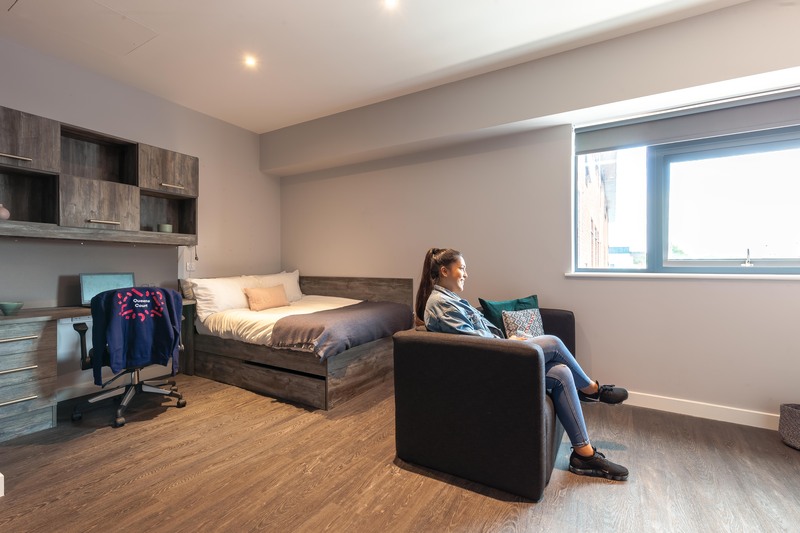 We run a full events programme throughout the year, and our common room is often where we host our activities - bringing residents together for everything from big nights in (or out) to chilled get-togethers. 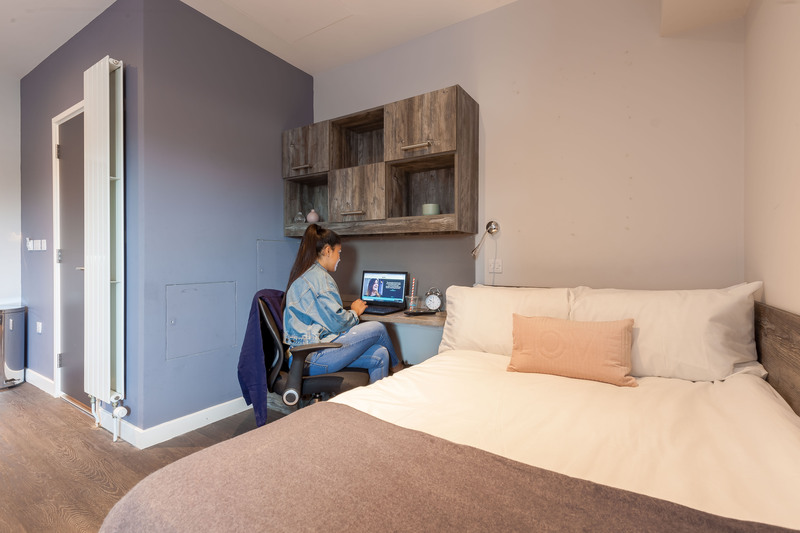 We know that study is important to you - that's why Queens Court comes with plenty of quiet spaces to work, either on your own or with your fellow students. 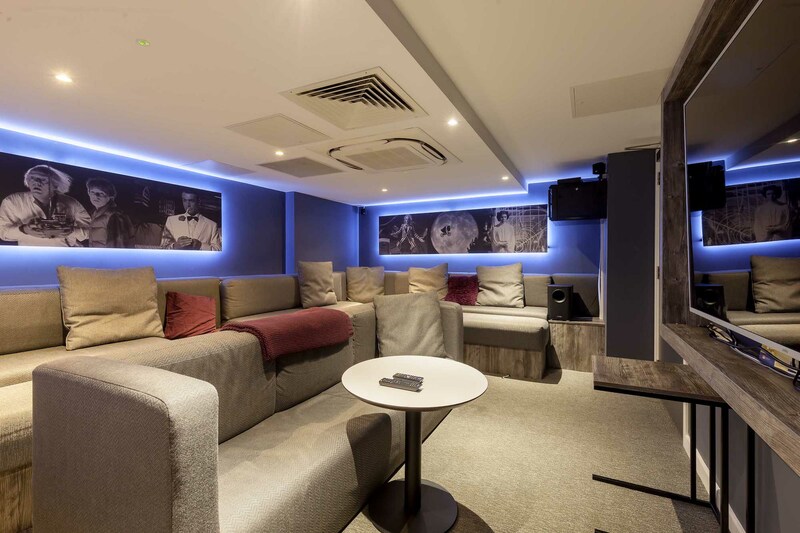 The cinema room at Queens Court - a comfy, relaxing space for our regular movie nights or other screenings! 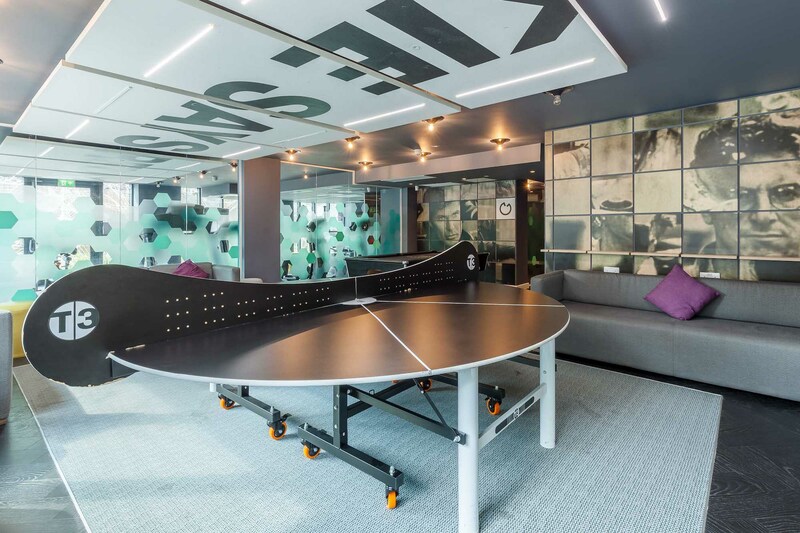 ...however it's our circular T3 table tennis table for three/six-sided games of ping pong which tends to steal the show of a day or an evening. 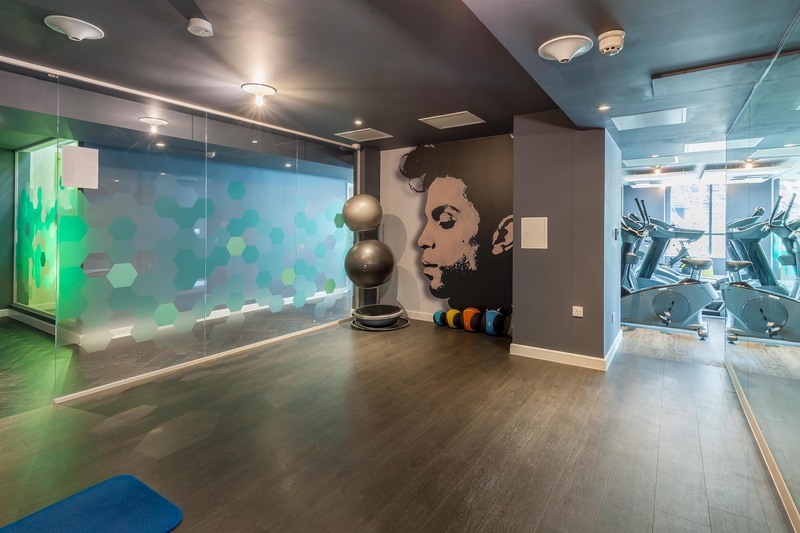 We're really proud of our gym at Queens Court. As well as our state-of-the-art equipment, we provide a free HIIT class every Tuesday - just sign up at reception! 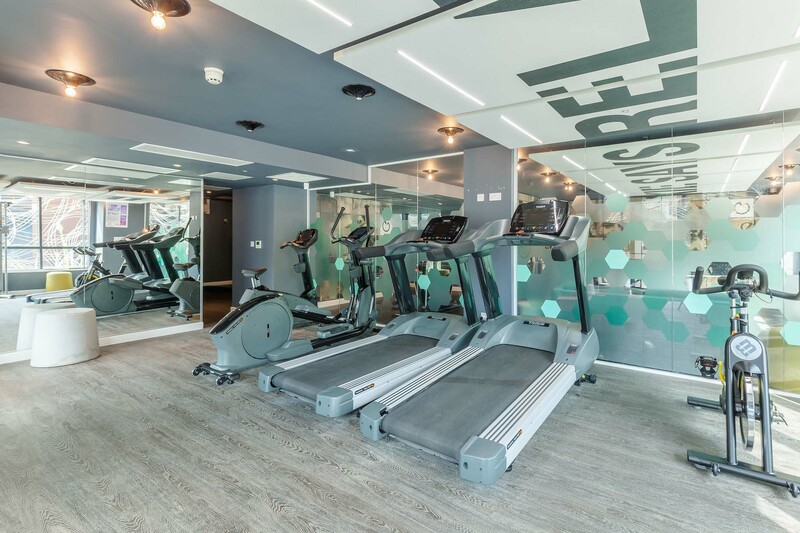 Our gym also includes treadmills, exercise bikes and weights machines - perfect for letting off steam and keeping in shape around your studies. 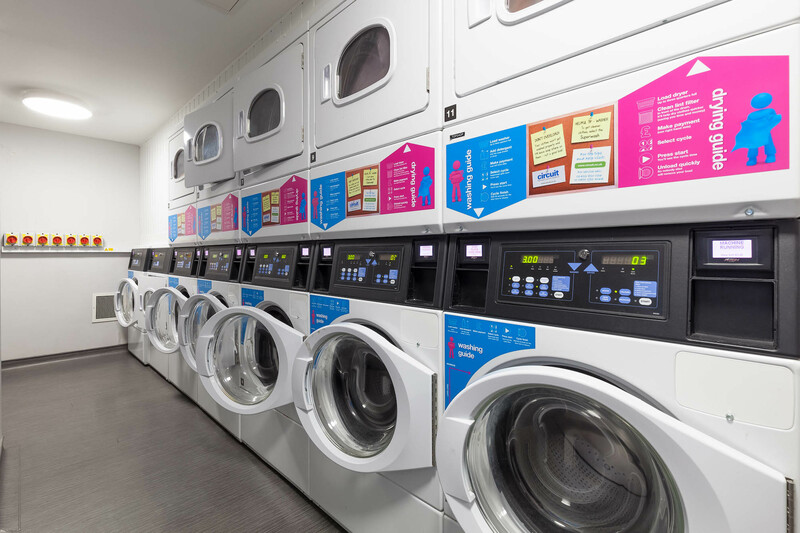 We have plenty of washing machines and driers in our laundry room - to use them you just top up your Circuit laundry card or phone app with your PayPal account. 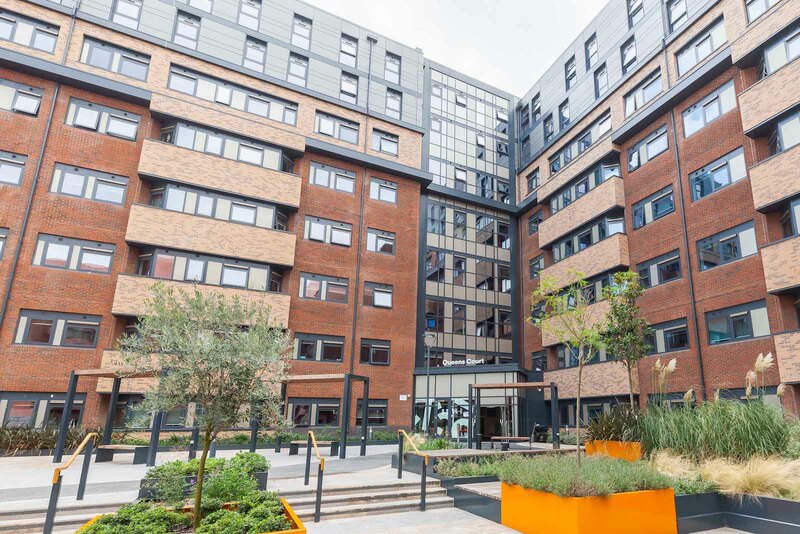 Right at the heart of Reading, Queens Court is in a prime location. 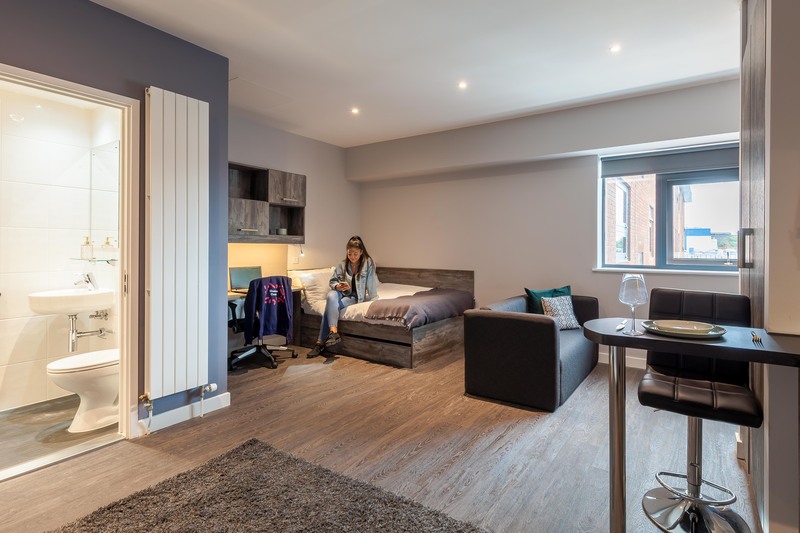 Commutes to lectures are a leisurely 15-minute bus journey, while its city centre is just a 5-minute walk, so all manner of shops, restaurants, cafes and bars are never far away.